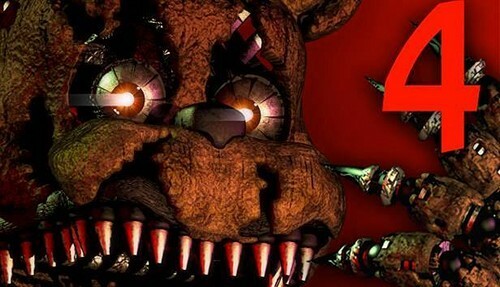 Fnaf 4 - Steam thumbnail. . Wallpaper and background images in the Five Nights at Freddy's (Пять ночей с Фредди) club tagged: photo. This Five Nights at Freddy's (Пять ночей с Фредди) photo might contain флер-де-лис, флер де лис, fleur de lis, and fleur de lys.